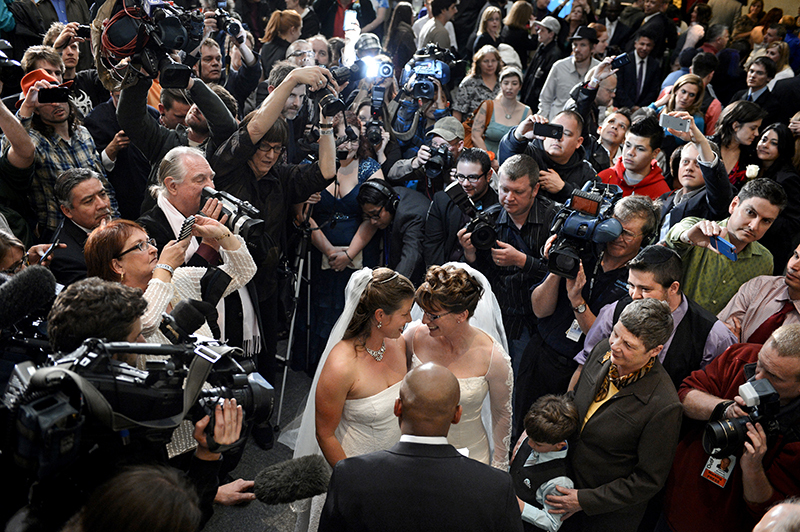 Led by Denver Mayor Michael Hancock, Anna and Fran Simon are the first couple to take part in a civil union ceremony at the Webb Building in Denver, CO. Accompanied by their 5-year-old son, Jeremy, supporters and media crowded thick around them. Fran seemed overwhelmed by the events. "I didn't know what to expect," she said of the clamor that surrounded their exchange of vows. "I just expected being with Anna."